Manufacturers love to bring their electric concepts to California, and this year was no different. Most manufacturers had at least one plug-in model of some sort, either for sale or as a concept. There were a lot of impressive displays…and some a little less so. Impressive: Chevy, Tesla, Hyundai, Jaguar, Zelectric, the Chrysler Pacifica Hybrid and the Cadillac CT6. Conflicted: MINI’s Countryman Plug-In Hybrid. Disappointing: Ford, VW/Audi, and of course every manufacturer with no plug-in models on display (Land Rover, GMC, Dodge, SRT, Jeep, Ram, Mazda, Lexus, Infiniti, Acura, Maserati, Alfa Romeo and Buick). Check under the break for the gallery and some short impressions. 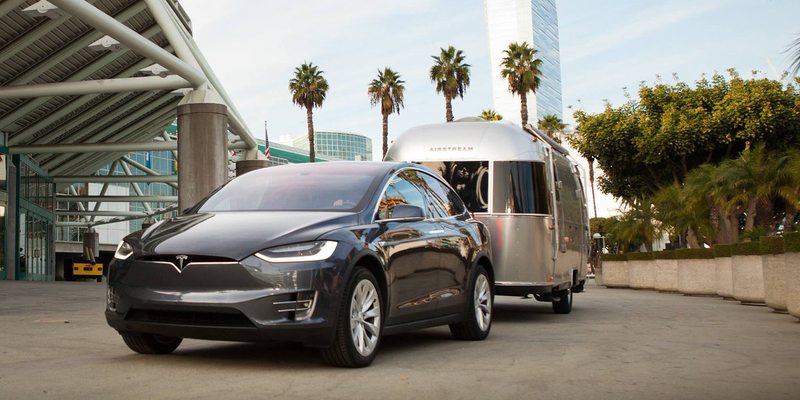 Since September, Tesla has been going around the US and Canada with a small fleet of Model Xs towing modified Airstream trailers acting as ‘mobile design studios’. It was presented as a way for Tesla to have a temporary retail presence and offer test drives where the company doesn’t yet operate stores.